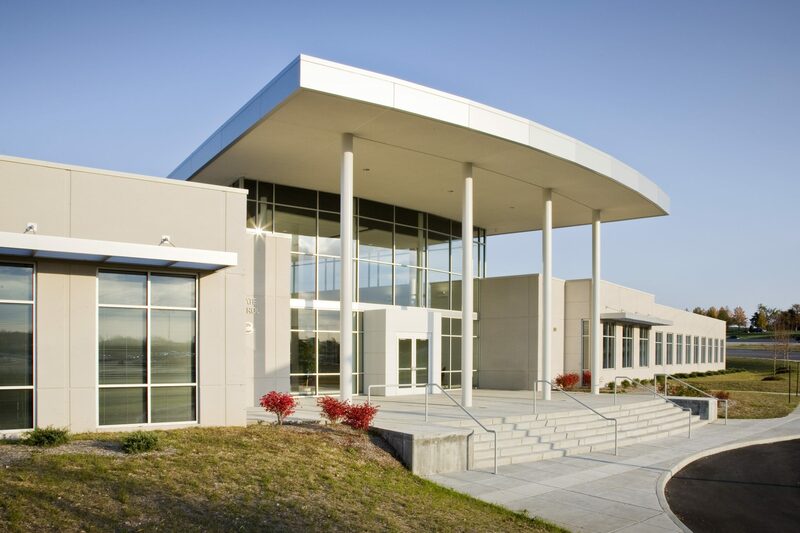 The Missouri State Highway Patrol Troop C moved from a two-story, 27,000-square foot space to a single-story complex of 34,000 square feet in Weldon Spring. 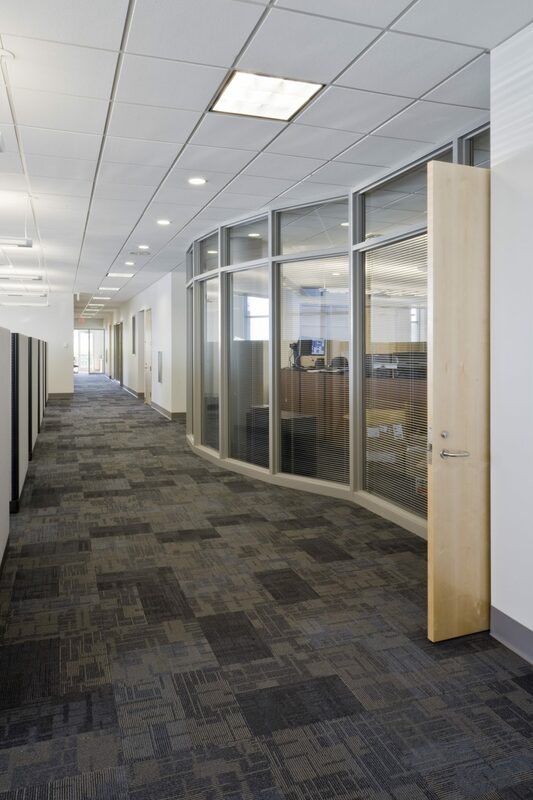 In addition to administrative offices and a 1,700 s.f. 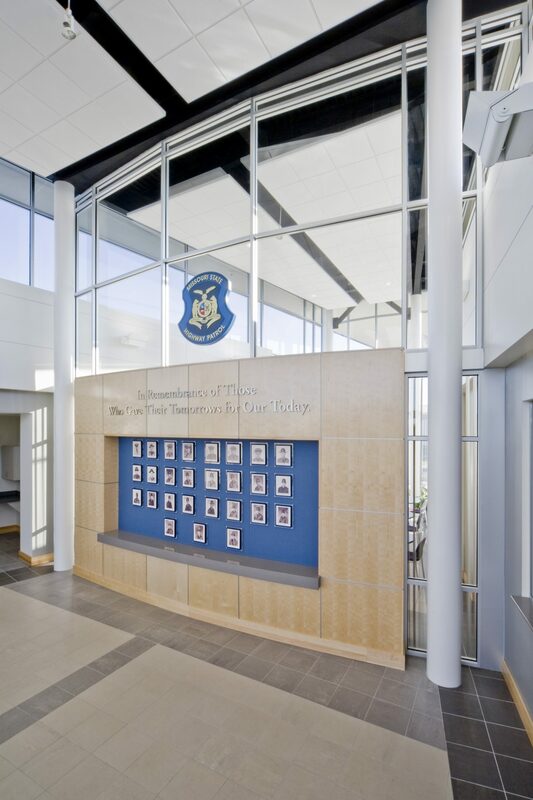 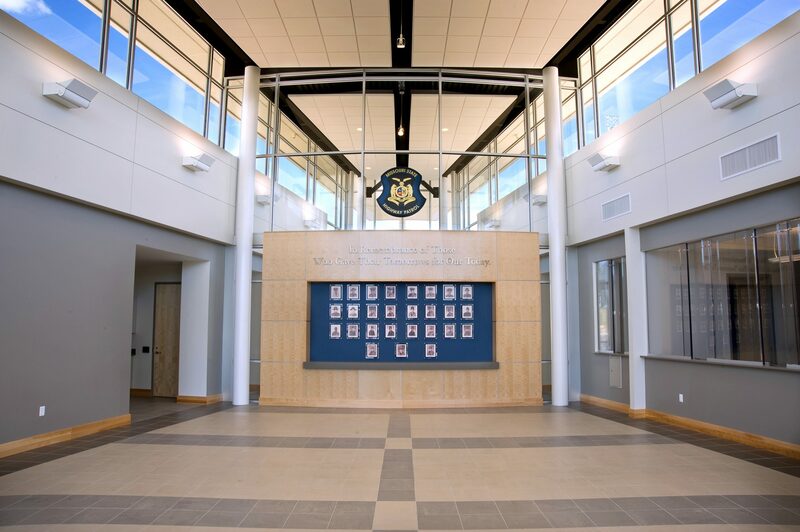 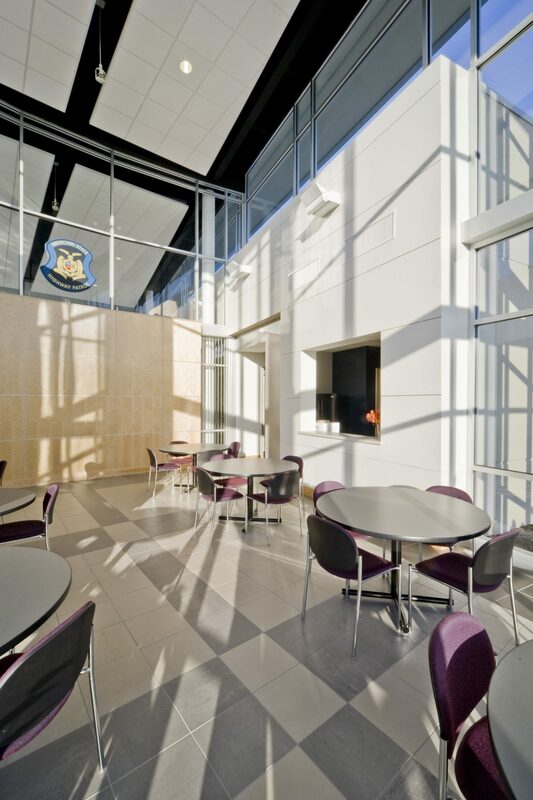 communication center, the building features a memorial for fallen officers, evidence storage, and an automotive service and storage area. 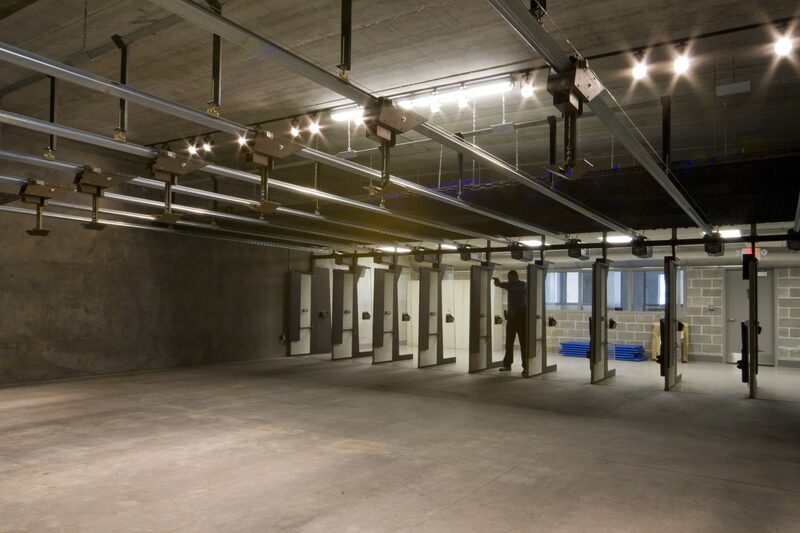 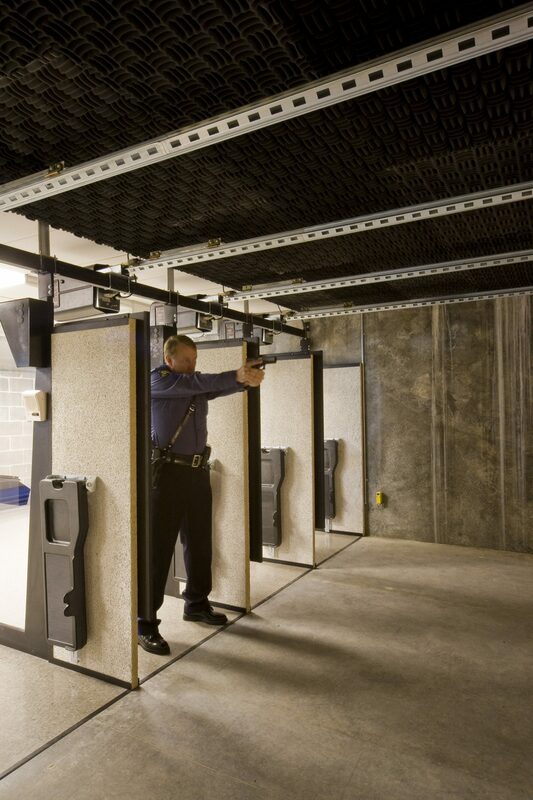 A second building on the back of the site holds an indoor firing range. 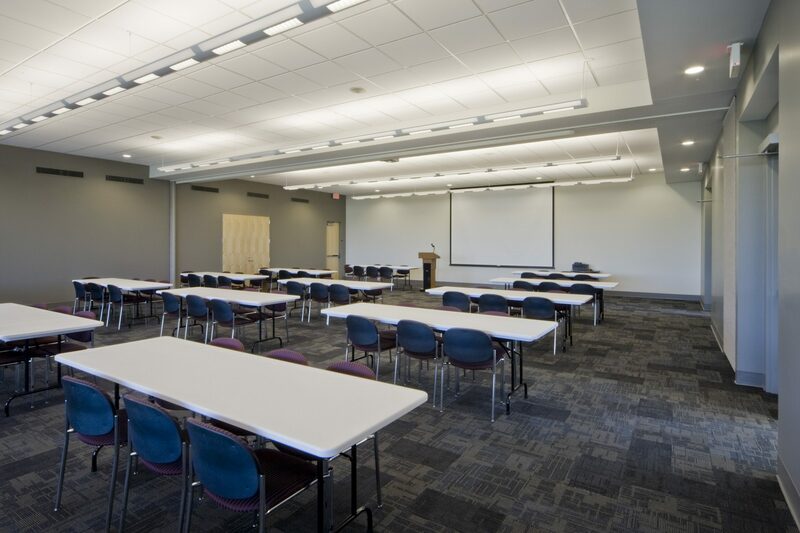 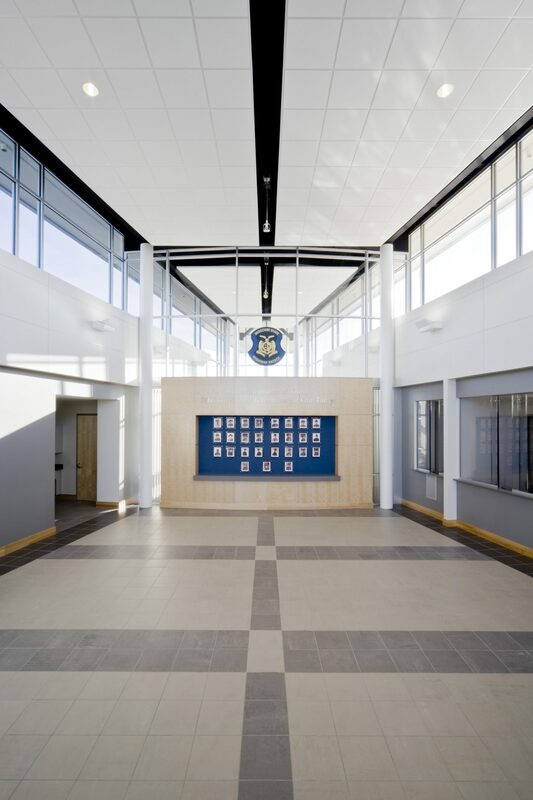 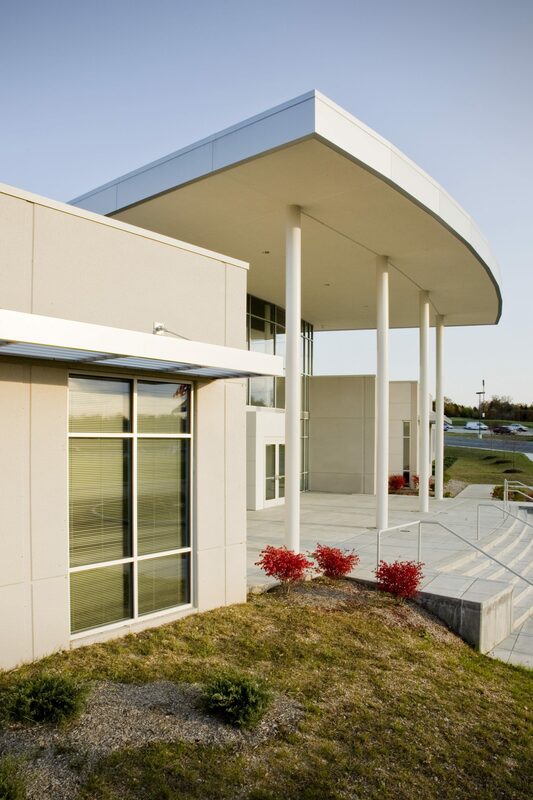 The design/build project was constructed to emphasize “effectiveness and efficiency” in state operations. 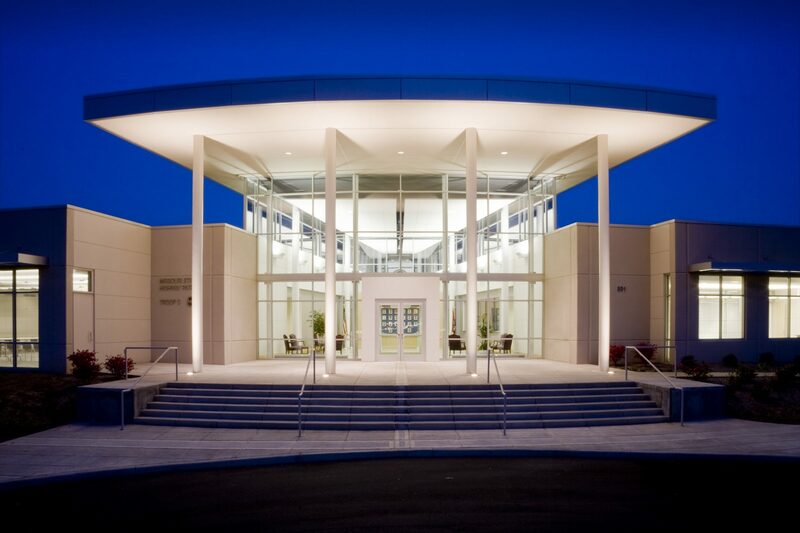 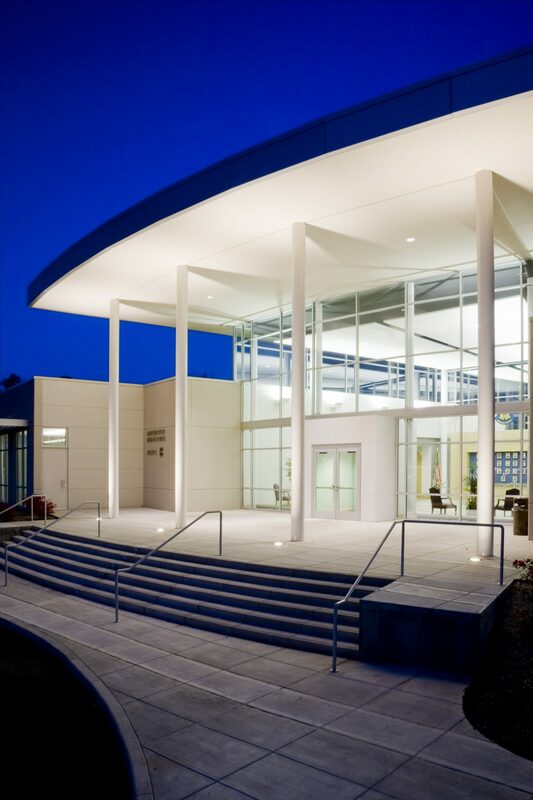 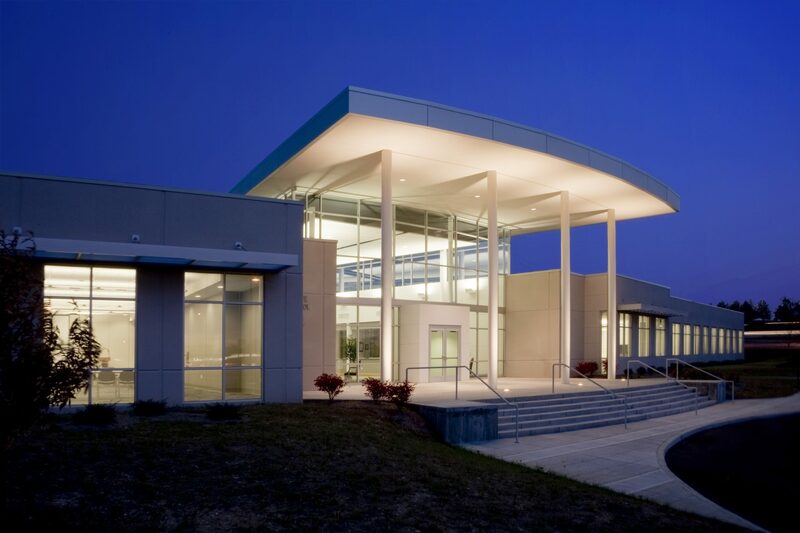 The steel framed concrete tilt-up structure utilizes indirect lighting that reduces the energy usage of the facility. 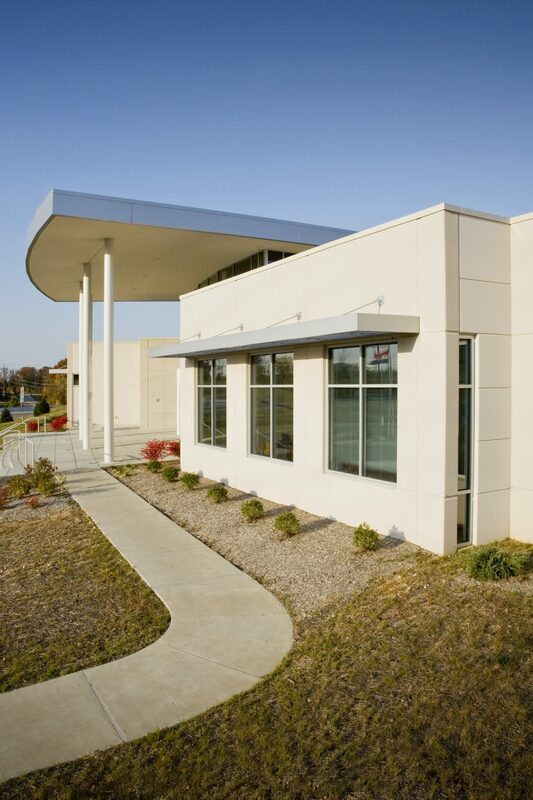 Besides lighting changes, modern HVAC rooftop units allow for variable air volume and speed while regulating heating and air conditioning needs. 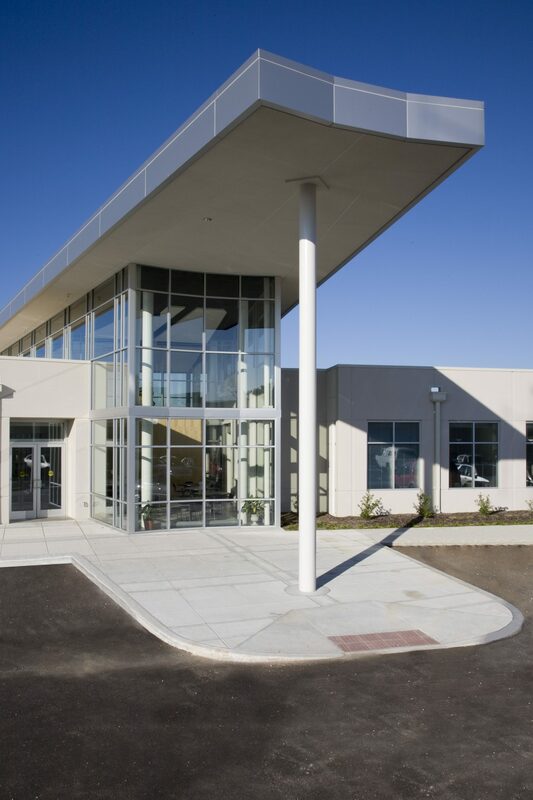 Although the new building is larger, energy costs overall are the same or lower in the new headquarters.